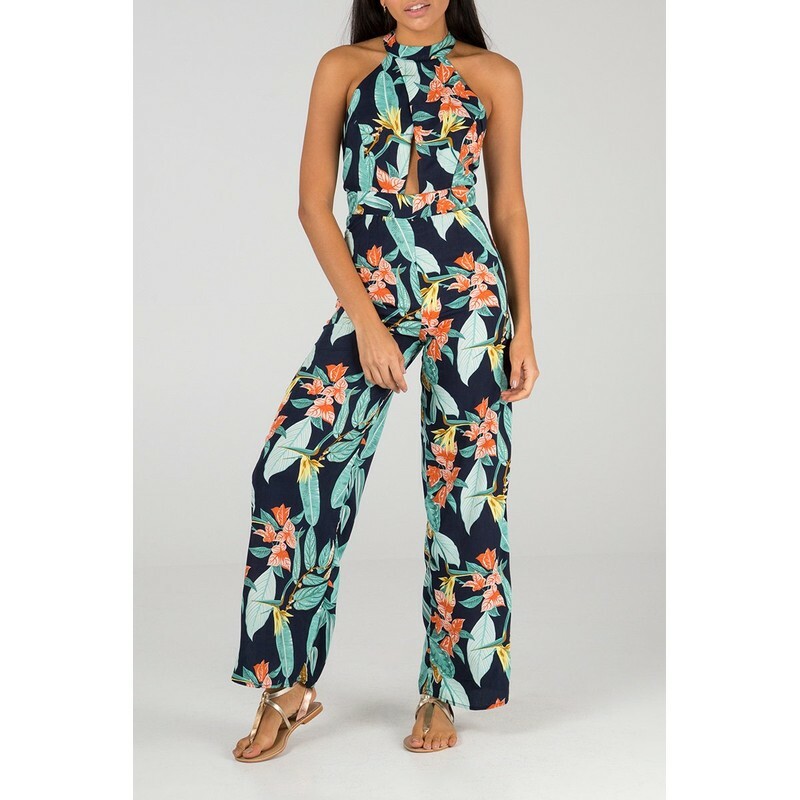 High Neck Tie back Jumpsuit is a vibrant summer printed long trouser jumpsuit. 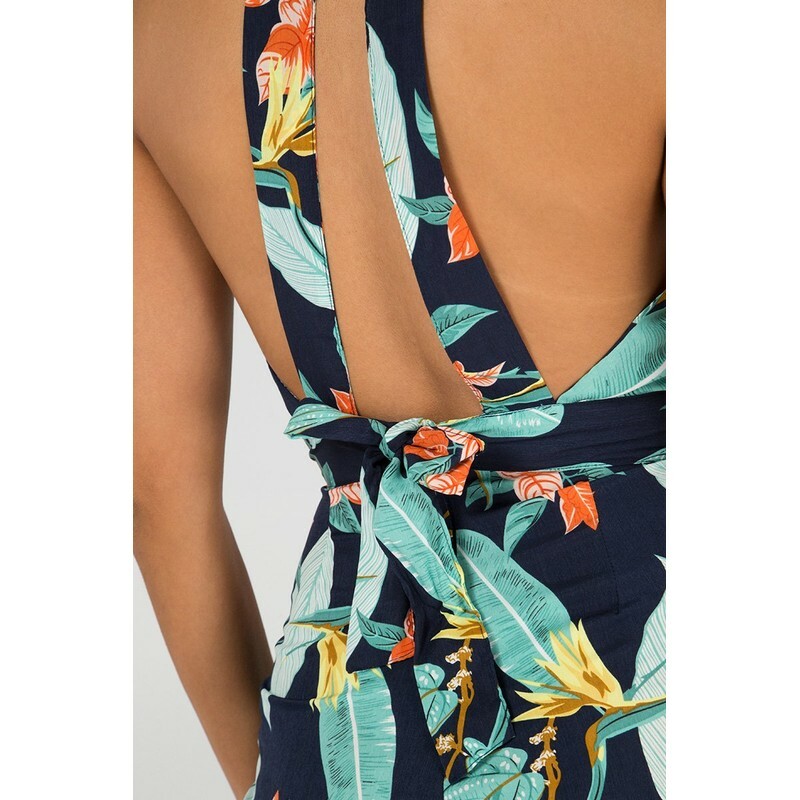 The high neck front has a button back fastening with two straps down the back to the waist which is then tied. There is a zip fastener to the waist at the back.